Three blocks south of Pelham Parkway; between Neill Ave. & Rhinelander Ave. Call, click, or stop in for a quote today! Ask about our discounts! 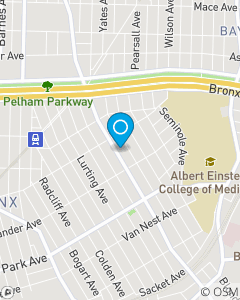 We are located in the Morris Park section of the Bronx and proudly serve all of New York State! We can meet your Auto, Homeowners, Renters, Life, and Financial Service needs. Give our professional, experience, and bilingual Spanish team the opportunity to exceed your expectations.